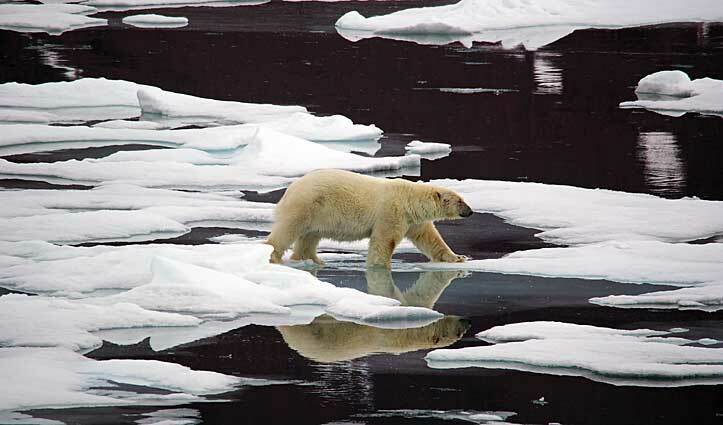 There’s little point denying it, and as much as we all try to pretend otherwise, a trip to the high Arctic doesn’t quite feel like it would be complete without an encounter with the great white bear that roams this vast land of sea and ice. 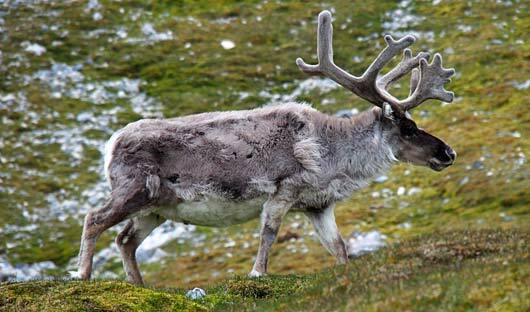 We were several days into our 12 day Arctic Cruise around the Norwegian archipelago of Svalbard. 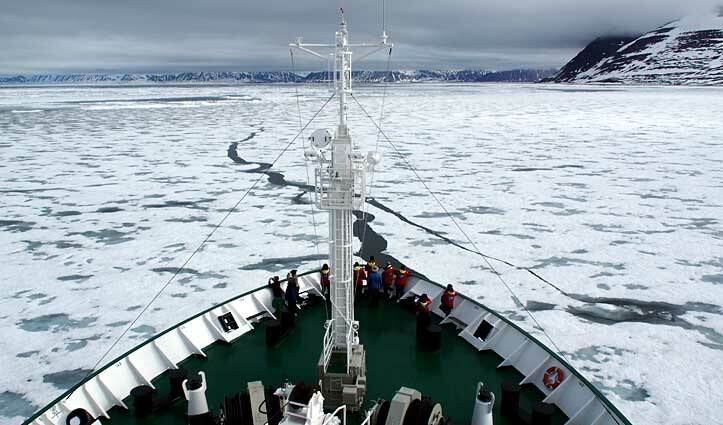 Everything was in our favour, we were on a quiet and highly manoeuvrable ice strengthened expedition ship, the Akademik Ioffe, we had world leaders in polar travel and ice navigation on the bridge, the ice was thick and plentiful and the conditions were clear. We could see for kilometres in each direction (and trust me, we were looking) so where were these bears hiding? 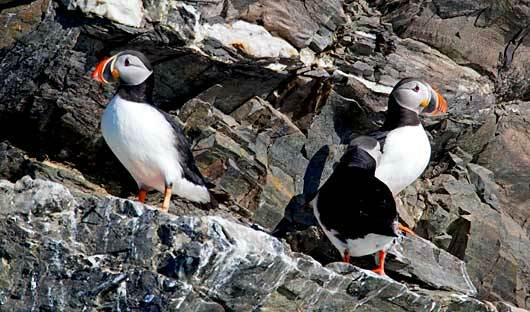 We’d been blessed with exhilarating sightings of majestic reindeer, the nimble arctic fox, active walrus, various species of seals, the odd whale and even the ‘clowns’ of the sky – the adorable puffin. Yet there was a slight tension building on board the ship as the days slipped by and not a single polar bear would show himself. 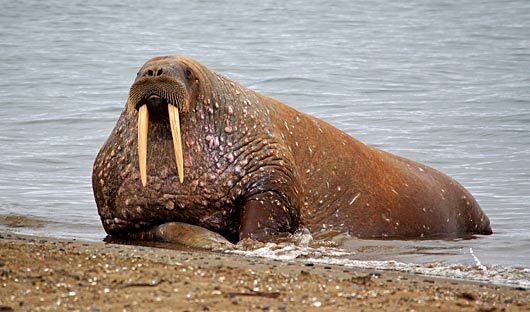 Spitsbergen, the largest island in the Svalbard Archipelago, is the most favourable place in the world to witness these giants in the wild, and everyone was keen for a glimpse. It was after lunch one afternoon. 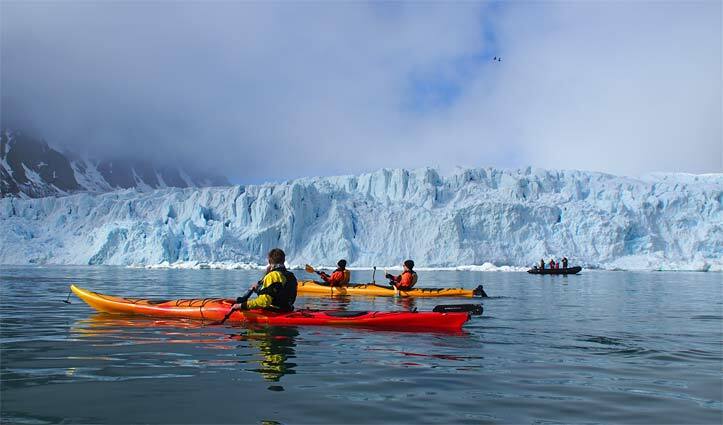 I’d been kayaking through Liefdefjorden in front of the spectacular Monacobreen glacier that morning; with 3 glaciers tearing down the valleys into the glistening fjord, sprinkled with icebergs of every shape, size, and shade of blue and white imaginable. 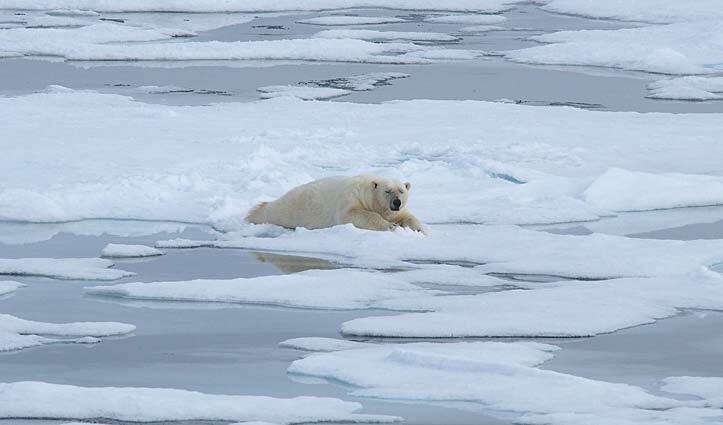 We’d left the dining room, our bellies full, to gear up again for an afternoon on deck, binoculars gripped firmly between our hands, everyone desperate to be that one person to spot the first polar bear (and be showered with drinks at the bar in return!). Suddenly the announcement we’d all been waiting to hear came crackling through the PA system from the bridge. 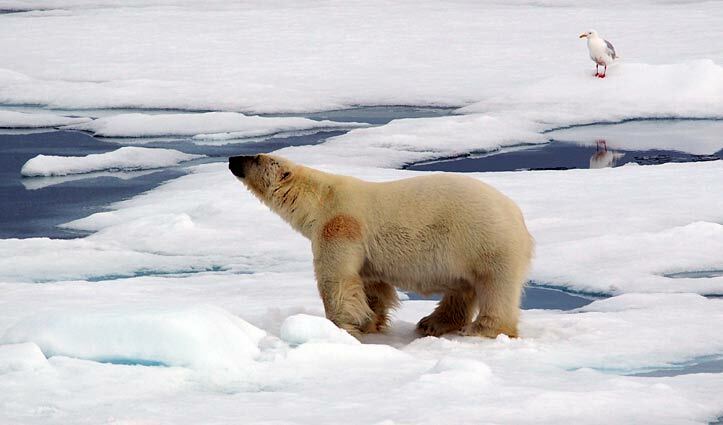 A polar bear had been spotted at 1 o’clock (directionally, not 1pm). We were all encouraged to rug up and come to the top observation deck or the bow, but not to hurry too much, we were still a little while away. That stopped nobody from nearly tripping over their own feet to get outside and capture the first glimpse of this elusive creature. Little did we know that Maria, one of the expedition guides, had defeated all odds and spotted a bear a whole 7 ½ kilometres away, and it would take a good couple of hours until we could successfully sneak up (as well as a ship can sneak) closer to the bear without frightening it. It’s not easy to navigate an apartment block sized ship quietly through ice and close enough to a wild bear without startling it, however we were fortunate enough that this particular bear had only moments before being spotted, killed a harp seal and was far too engrossed in his lunch to care much for 100+ tourists and crew and their clicking cameras and bubbling excitement. There’s no denying that our captain was incredibly skilled, and as we slowly crept closer, the bear certainly acknowledged us, but never appeared to show any signs of fear or annoyance, his meal was far too satisfying. In watching this incredible creature, we all commented on how his characteristics reminded us of our domestic pets back home. 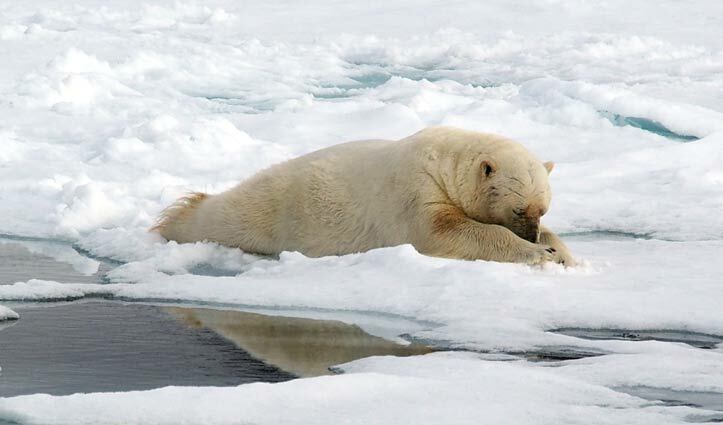 Whether you were a dog or a cat person, the way this bear gorged on his food, paused to clean his chops and paws, collapsed and snoozed under a food coma, rolled around trying to find a position comfortable enough for his full belly, and then would get up and do it all over again – there’s no denying that this bear, as wild as it was, struck a chord with each one of us. 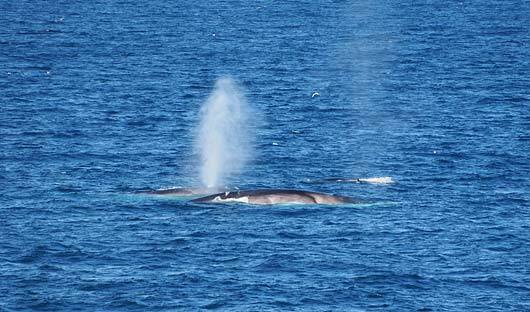 We were lucky enough to spend four whole hours closely observing this beautiful beast from less than 200 meters away. And not for a moment did I get bored of watching him devour his meal, or carefully clean his shiny white fur or bury his nose under his paws whilst he snoozed (no doubt the standard way to sleep when there’s 24 hour sunlight!). The fact that this bear kept us waiting meant it was all the sweeter when we spotted him. To see such a rare and endangered giant in the wild, as healthy and happy as he was, was a true privilege. The energy on the ship that night had shifted completely – nobody could keep the smile from their face. 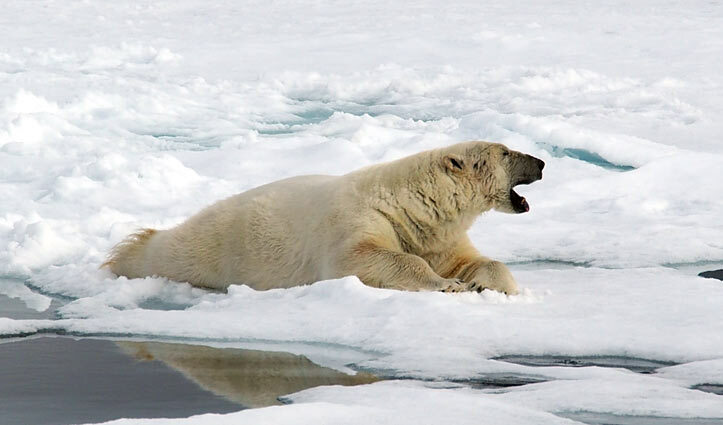 Spotting a white bear on a mass of white ice from 7 ½ kilometres away is an incredible feat, and it’s safe to say Maria was shouted more than just a couple of drinks that night.